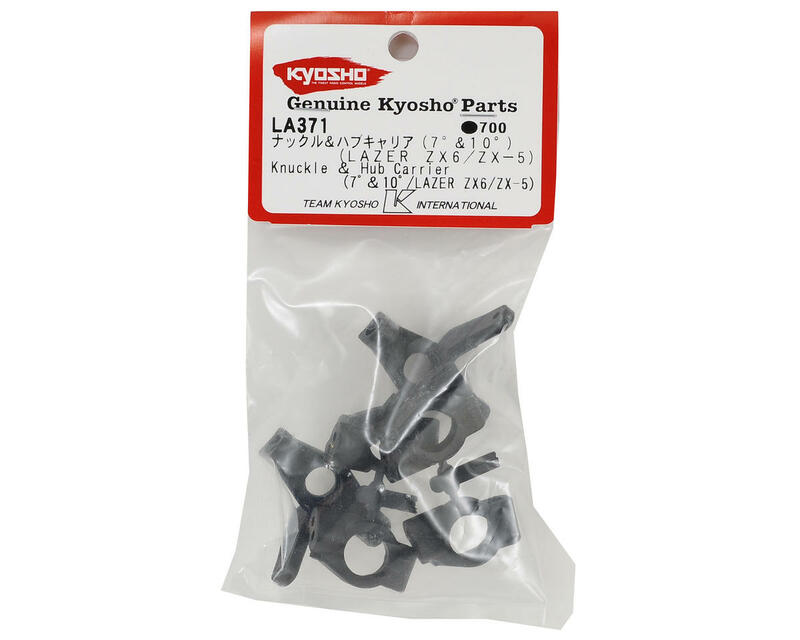 This is a replacement Kyosho Steering Knuckle & Caster Block Set. Package includes 7° and 10° caster blocks, as well as a set of steering knuckles. 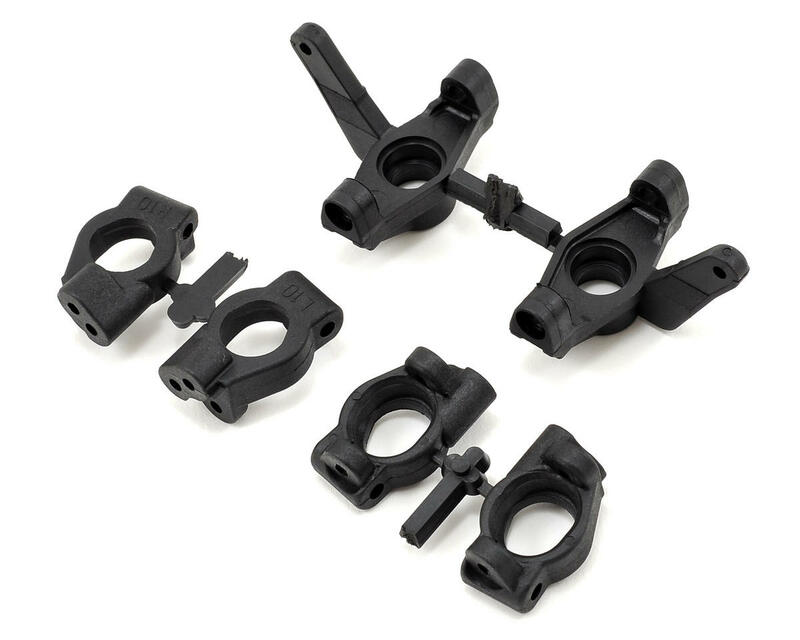 These are also compatible with the ZX5 series and will provide improved steering thanks to the updated steering linkage location.